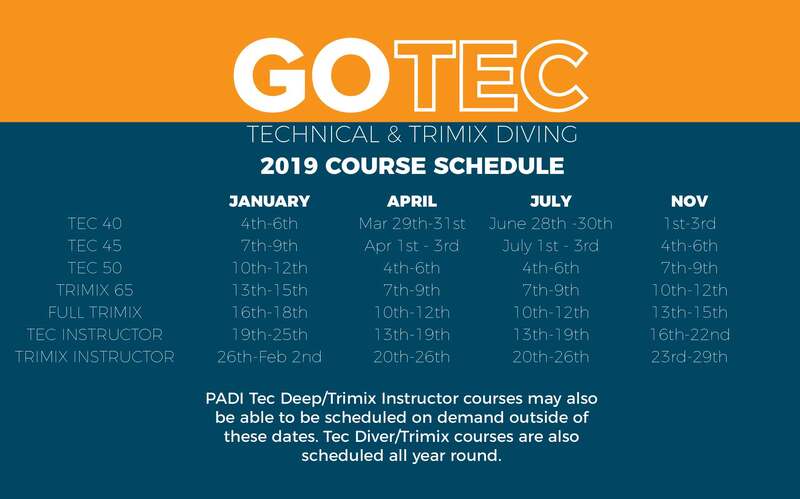 To qualify as a PADI Tec Deep Instructor you’ll need to attend a PADI Tec Deep Instructor course and audit either an actual or simulated Tec 45 or Tec 50 component. In our Tec Deep Instructor course you will also sit the theory and standards exams under the supervision of our PADI TecRec Instructor Trainer and save the time and expense of needing to do this at a PADI IE. 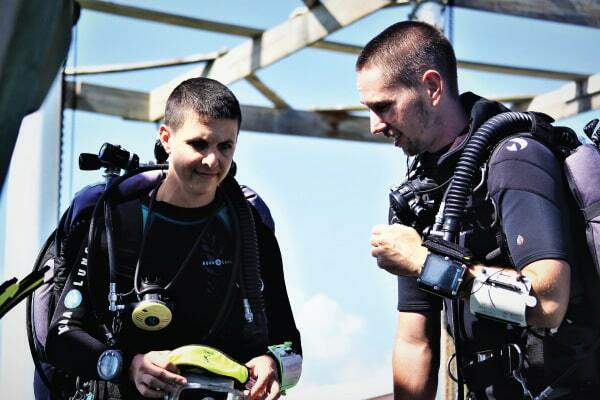 As long as all other postrequisites have been met you’ll qualify to teach the PADI Tec Deep (40/45/50) and Tec programs, the most comprehensive and educationally valid in the dive industry. 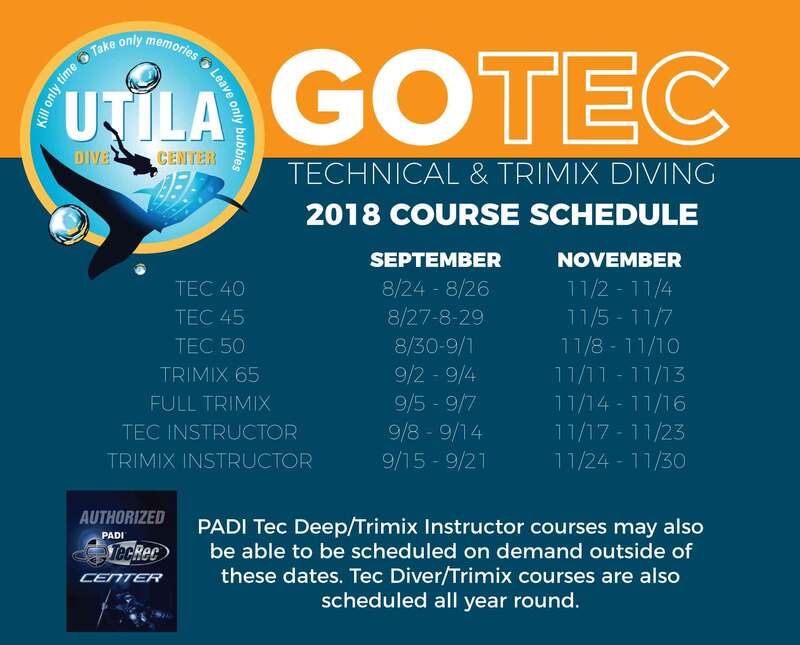 Be a certified Tec Deep Diver or have an equivalent certification. Have certified a total of 10 or more PADI Deep Divers and/or PADI Enriched Air Divers. Any combination of EANx/Deep Diver certifications is acceptable. 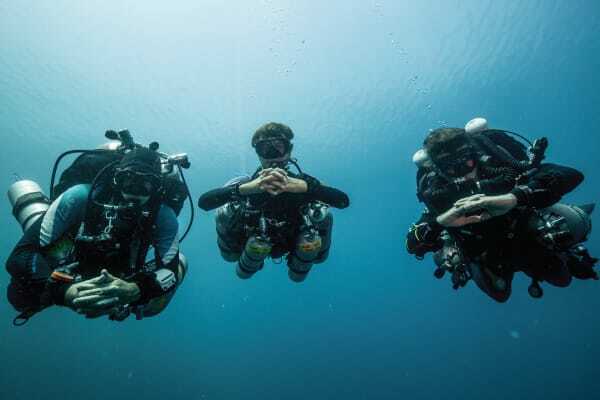 For example, if the PADI Instructor has three EANx certifications and seven Deep Diver certifications, that meets the requirement. If your still lacking the pre or post requisites that are necessary to qualify as an Instructor then we can customize a TecRec preparatory program that will help you meet the criteria with the most efficient use of time. Technical Diving is not for everyone but to those who are passionate about this specialized area of diving the rewards and career opportunities that come with this training are worth the effort. Want to take your TEC instructor training to the next level?